Washing machines have become one of the most demanded home appliances for major households. In the present scenario, it is not just an appliance used by females or housewives but also for males. 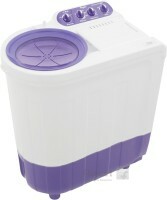 It is especially used by the bachelors who live alone and need a cost-effective laundry solution. This is the reason behind the increase in searches of automatic & semi automatic washing machine online. The semi-automatic washing machine requires manual effort by the user to drain out the water whereas the fully automatic washing machine washes, rinse and spins on its own without any manual efforts. On the basis of structure and performance, the washing machine can be top loading (widely used for daily wash) and front-loading (recommended for washing delicate clothes). 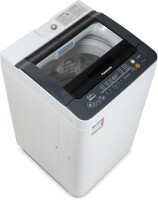 The top 10 washing machine brands include Godrej, Videocon, LG, Whirlpool and Panasonic. These top brands offer the best washing machines on the market today; this gives a freedom to the buyer to choose from the diverse range of options. However, this availability of options leads to confusion and makes it even more complicated to choose the right fit for your laundry needs. In such a situation one should note down his/her personal needs and match the available options to check suitability. Electro Rocks is here to make it easy for you. Our platform will help you compare the market washing machines available online and help you crack money saving washing machine deal. 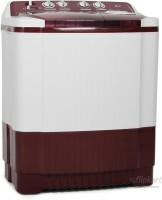 The option to know cheapest washing machine price online gives you the flexibility to choose from diverse collection and avail additional discount benefits. 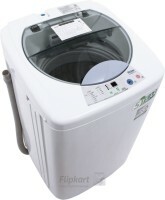 Electro rock is here to make it easy for you to compare the market washing machines & crack the best washing machine lowest price online deal. 1) Capacity: The load capacity of washing machines range from 4 Kgs to 10 Kgs; where higher capacity means increased price. For a household with a few members, it is acceptable to buy a washing machine with a capacity of 7 kgs. 2) Special features: The availability of each additional feature adds on to the price. One should go for a washing machine which provides the required cleaning with minimum efforts from the user’s end. 3) Washing features: The washing cycle includes three major functions namely rinsing, washing and spinning. In addition, there are various additional options for washing and cleaning which include adjustments for water level, spin options, temperature and special washing options for delicate fabrics. 4) Washtub material: The wash tubs are mainly of two types i.e. the plastic and steel tubs. Among the two, the steel tub is comparatively better than the plastic tub because it spins at a faster rate and is much more durable. 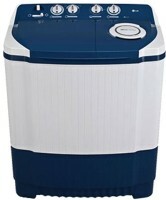 5) Spin cycle: The spin cycle is responsible for the rate at which the clothes would dry. 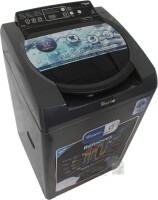 The spin cycle of the machine is chosen on the basis of the clothes which have to be dried. It is calculated in RPM. 6) Safety features: The safety features include child lock, rodent protection and spinning stability. 1. The available space: It is important to consider the space where it has to be kept. The front load machine requires more space s compared to the top load machine. Begin your search with Electro rocks, we will help you compare all your shortlisted products and will assist you in zeroing your search for “Cheap washing machines near me”.